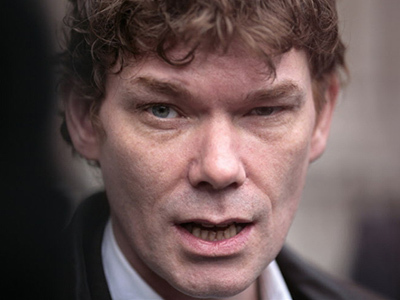 Experts have warned Gary McKinnon is a suicide risk and that his mental state could not handle extradition not the US and the process it requires, nevertheless the proceedings continue after US President Barack Obama opted not to intervene. McKinnon suffers from a severe case of Asperger’s syndrome and supporters had hoped Obama would intervene to prevent the extradition. In the past Obama often spoke of seeking a solution that would help McKinnon, a computer hacker, and keep him safe, but that appears to have changed. “We have confidence in the British legal system coming to a just conclusion, and so we will await resolution and we will be respectful of that process,” Obama said, effectively endorsing standard extradition. British courts have repeatedly refused to block McKinnon’s extradition because they had little legal recourse or cause, despite medical professionals warning that he would likely try to kill himself if bundled on a plane to the US. Most courts and judges have agreed that McKinnon’s mental state makes him a suicide risk but there is nothing they can do about it. Under the Extradition Act – which is biased in favor of America – does not allow for proceedings to be halted based on mental state or suicide risk. Under the act it is extremely hard for the British to stop or alter an extradition request from the United States. In discussions in London British PM David Cameron brought the issue up to the US president, and later both faced questions on the matter in a joint press conference. This and Obama’s comments show the high importance of the case. The US Justice Department wishes to extradite and try McKinnon in American courts for his crimes, although they took place in the UK. The only ways to prevent extradition and likely keep McKinnon safe are for the US to agree to allow him to be tried in the UK or for British courts or the British Home Secretary to rule against extradition. Thus far it seems neither is likely to occur.